Going to the opera is such a lavish event. The lights, the set, the costumes, the music… It really is quite the experience. But what’s often overlooked is the crew, technicians and musicians working like crazy behind the scenes so these productions are seamless for your experience. So I thought I’d get a little more insight into what really goes on behind the curtain. Recently, I took a backstage tour with the Stage Manager, John who drives this huge “ship” making sure that every light is cued, every rope is pulled and every artist is in place for the show to go on. The cool part was, his father was the Stage Manager before him. 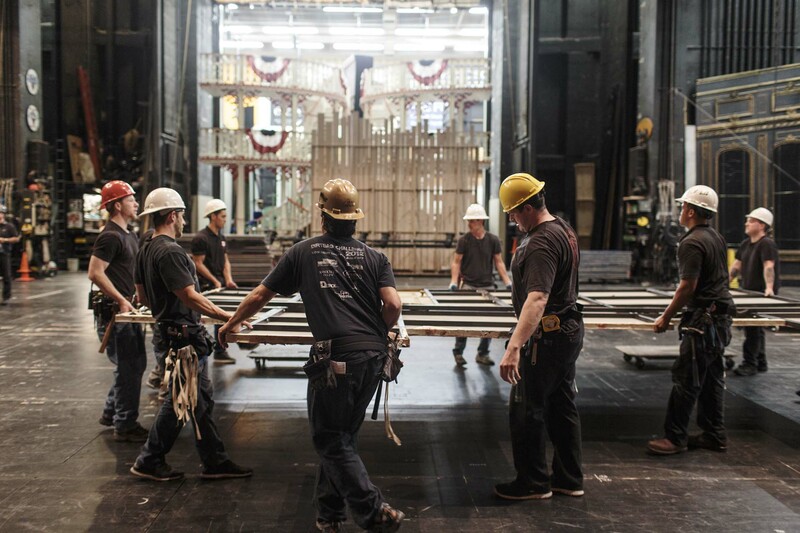 Since John was a boy, he learned a ton of secrets about this stage and knows the inside and out of the War Memorial Hall where the San Francisco Opera and the San Francisco Ballet performs. 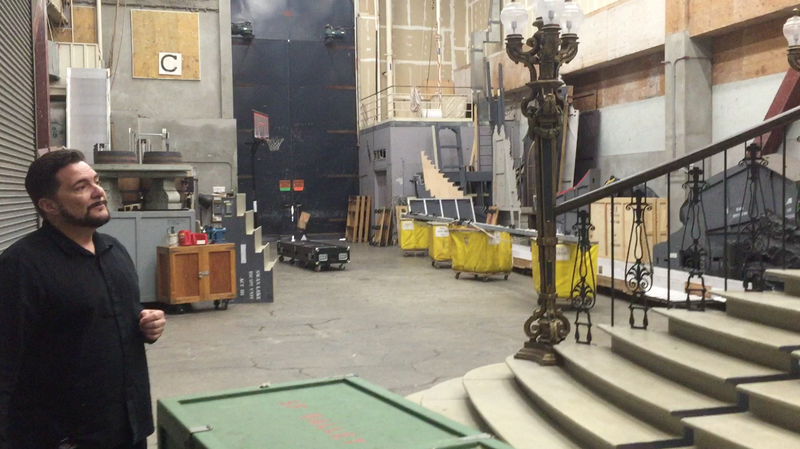 First, he walked us backstage to show us where the crew loads in their beautiful props and set (that sometimes come from Europe). As an oboist, one of my favorite parts of the tour was going inside the orchestra pit. The musicians (ranging from another 50-75 people!) who support the opera are definitely vital to a successful performance for the singers, especially the Music Director who truly drives the entire show. I just couldn’t resist seeing what it felt like sitting in that seat. You have no idea how excited I was to take this picture! Next week I’ll be sharing more of my backstage tour taking you up inside the iconic chandelier, the creepy attack and the basement of the War Memorial Hall. Did I mention this will include a real phantom of the opera story that happened right here in San Francisco? Oh yes. What is your favorite design feature of the War Memorial Hall? Do you wish there could be anything different? What are some of your favorite venues that you’ve visited? 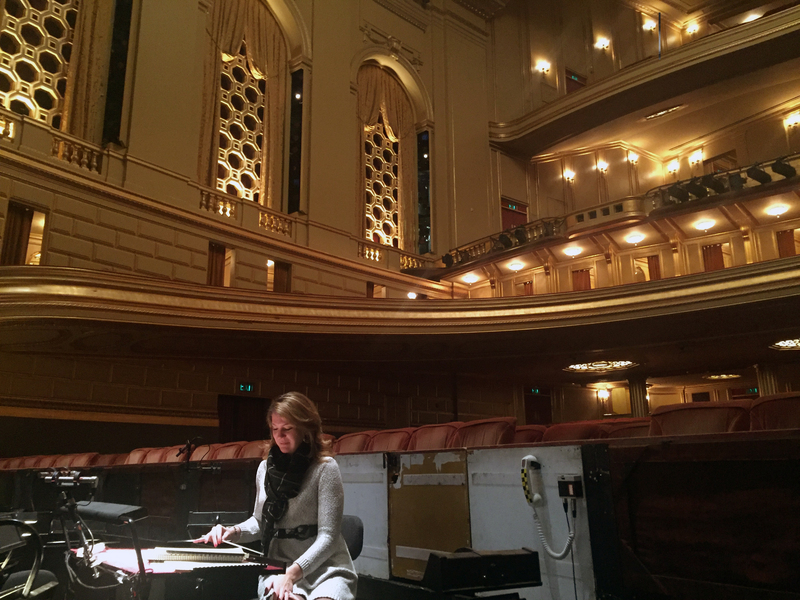 Click here to see more about the San Francisco Opera’s upcoming season!